John Straw took the nickname "Jack" in grade school, when he read historical accounts about a renowned 14th century Englishman named Jack Straw. The earlier Straw led a peasants' revolt against the feudal system, for which he was executed by royal decree. 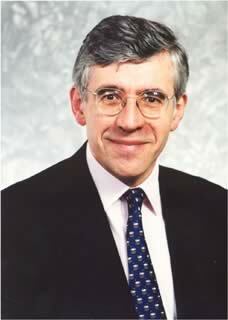 In his university years, the present-day Jack Straw was regarded as a radical, speaking strongly in favor of equal rights. He became a lawyer, and eventually a political adviser to Labour ministers in the 1970s. After that he worked as a TV journalist for Granada Television's World in Action. Straw ran for Parliament in 1979, a seat he has held for the Labour Party ever since. He also served as Home Secretary from 1997 to 2001. He became Foreign Secretary in 2001. In public office, Straw has advocated tough laws against crime and street begging, and a curfew for children. He has supported increased police powers and sacrificing civil rights for the war on terror, and reductions in the English right to trial by jury. As Foreign Secretary, Straw has been generally hawkish, and supported the invasion of Iraq before and after no weapons of mass destruction were found. Straw has long opposed legalization of marijuana and other drugs. In 1998, when then-Home Secretary Straw learned that his 17-year-old son William was selling hashish, Straw took the boy directly to a police station and demanded he confess his crime. Straw's son was only issued a citation and "cautioned" by police. Under the Home Secretary's policies, drug dealers whose fathers are not Home Secretary routinely serve at least a short stint in jail.